REBECCA KELLER - Exterior of the Jane Addams Hull House Museum. 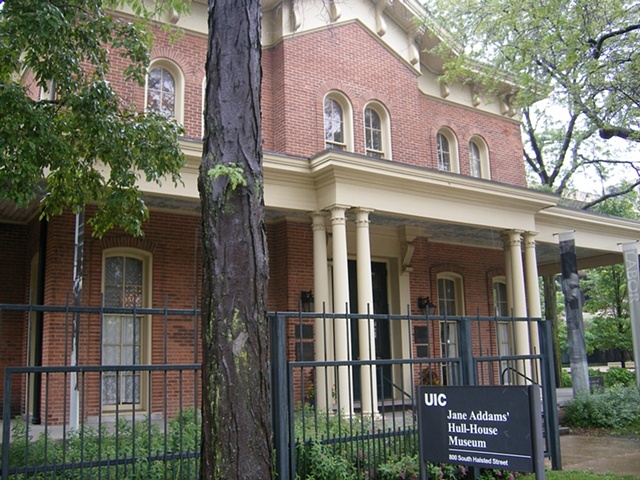 Exterior of the Jane Addams Hull House Museum. This house was where Jane Addams began her work, in what was at the time one of the most impoverished neighborhoods of the country. The house and dining hall are now museums, administered by the University of Illinois in Chicago. The school of social work at UIC is named after her.